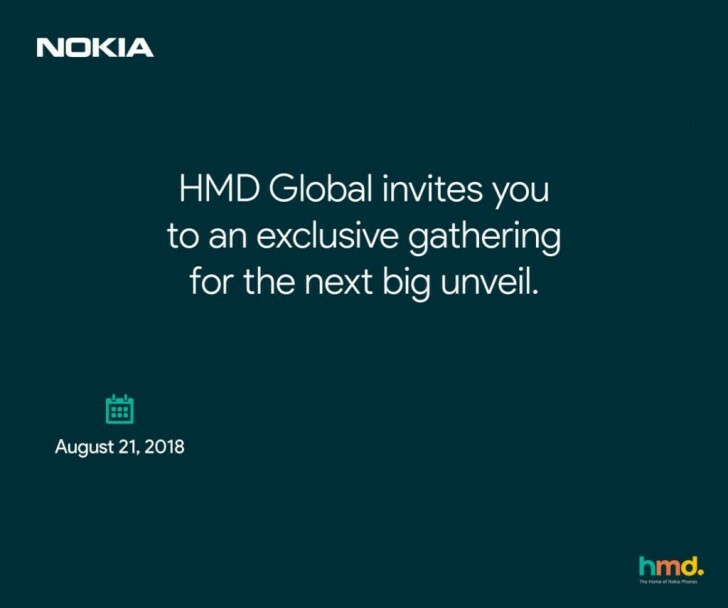 HMD Global has started sending out media invites for an event taking place on August 21 in India. As you can see, the company making Nokia smartphones doesn't mention exactly what device it's going to announce, but does say it's going to be a "big unveil". That wording is vague, but the most likely candidate for launch on that day in the subcontinent is the Nokia 6.1 Plus, also known as Nokia X6 in China. Its support page has already gone live in India. The Nokia 5.1 Plus and/or the Nokia 2.1 and 8110 4G might also make an appearance. The Nokia 2.1 should retail for INR 6,999 ($102 or €87 at the current exchange rates), while pricing for the 6.1 Plus and 5.1 Plus is still a mystery. Doubt we'll see it in the USA, would be nice though. Higher end mid-range devices don 't seem to make it here. Nokia 7 Plus would be great also but.. nooooope.